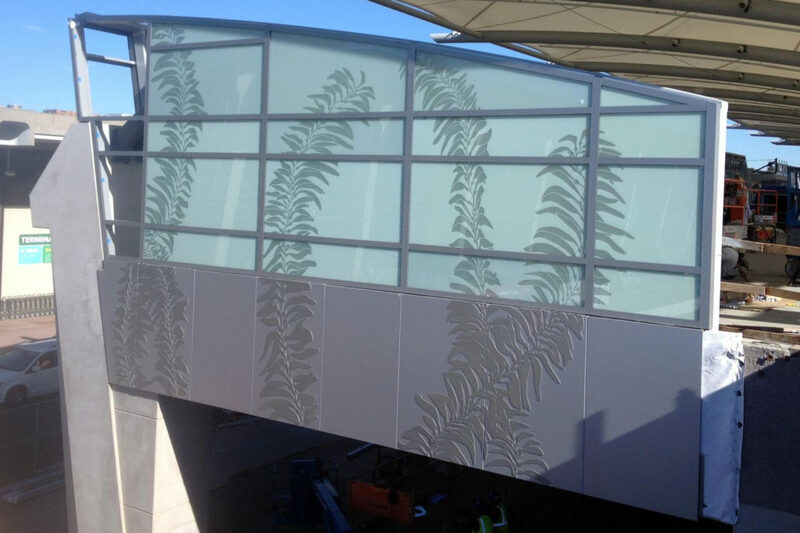 Permanent art installation at San Diego international airport. 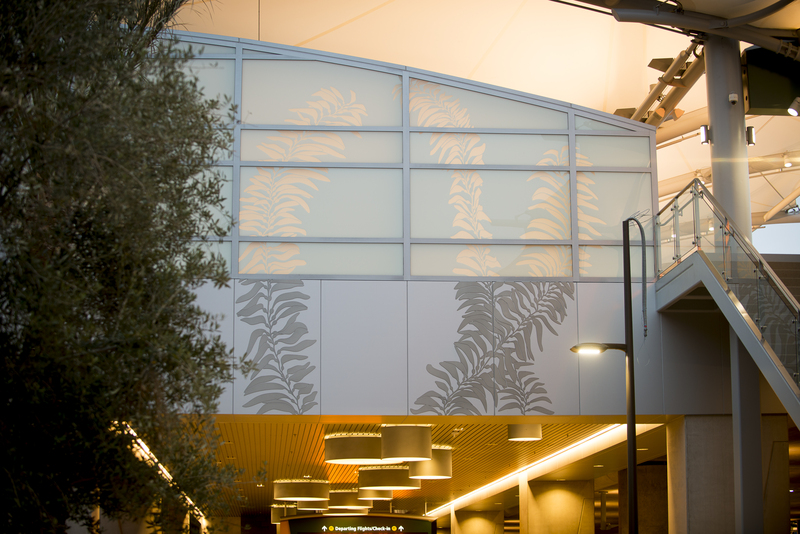 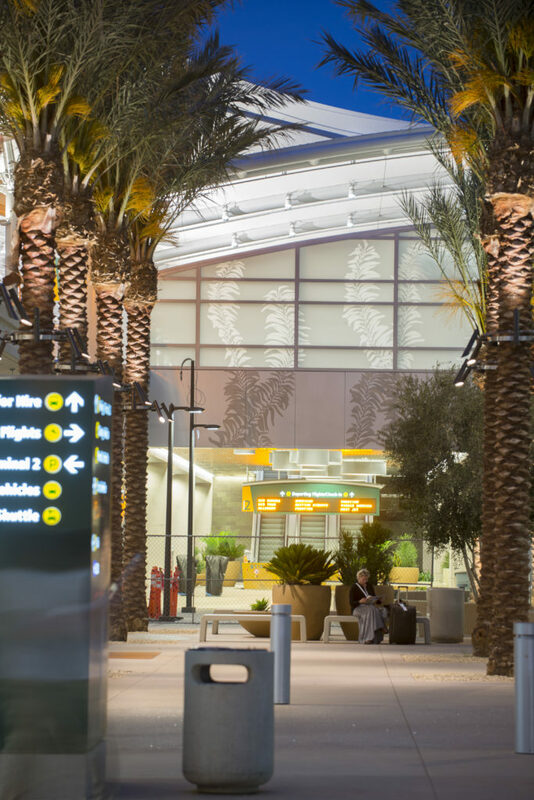 The artwork for the new arrivals and departure plaza connects travelers to their current location – the San Diego Bay and the Pacific Ocean. 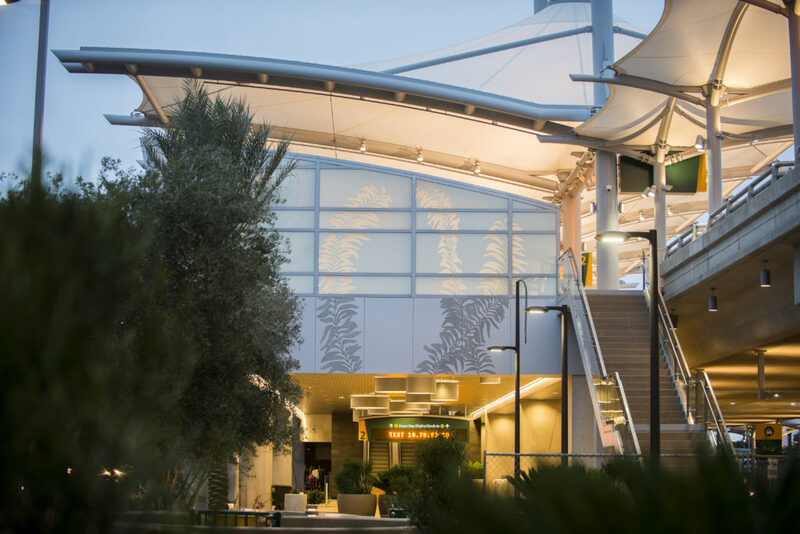 Two natural phenomena, occurring in and around the bay, are the basis for the artwork: the unique, giant kelp beds at Point Loma and the seasonal phenomenon of bioluminescence. 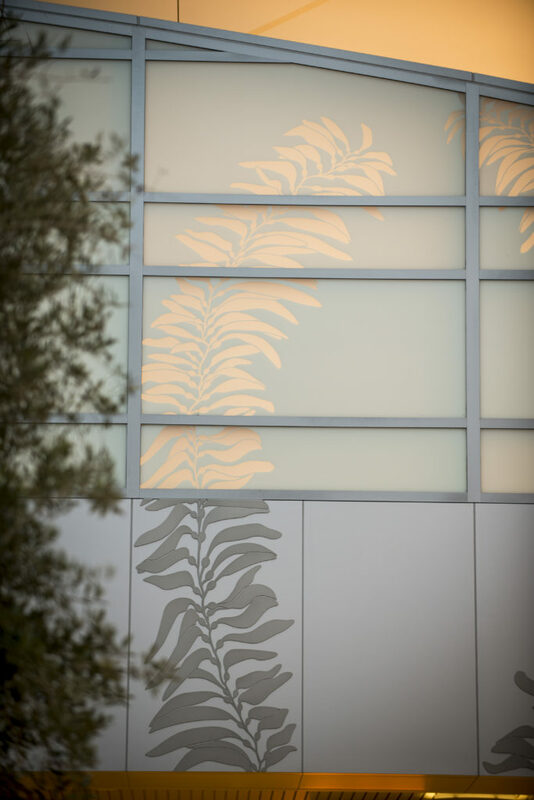 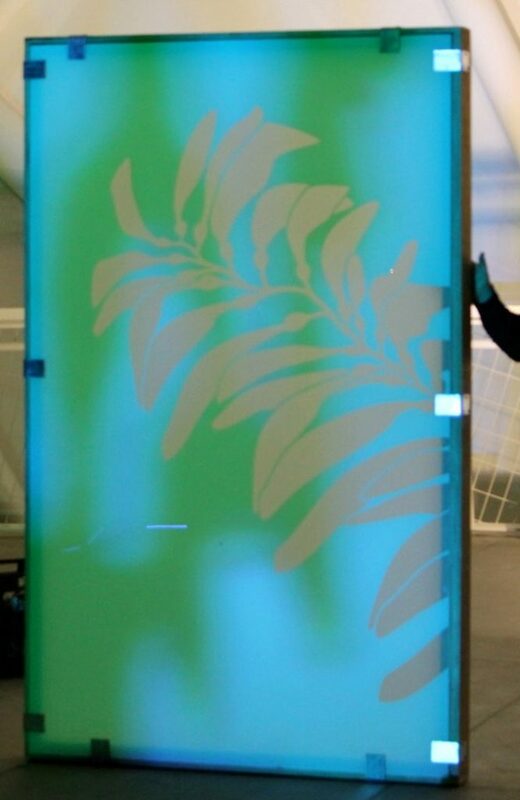 A pattern of kelp leaves on the facades’ glass, seamlessly continuing on the aluminum panels, is at night time enhanced through a bioluminescence-inspired light projection. 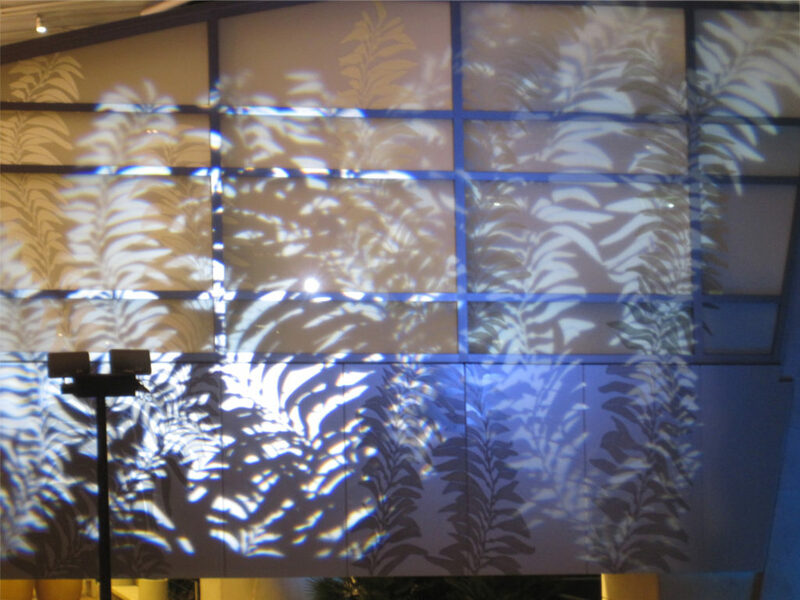 The pattern is continuously generated from real time data drawn from a NOAA buoy in the San Diego Bay, representing tidal motions and other wave characteristics.